During the summer of 2017, at the tail end of the biggest H7N9 outbreak (in humans) on record, China ordered the emergency nationwide deployment of a new, experimental H5+H7 poultry vaccine. Unlike previous campaigns, which had produced limited and mixed results, China's dramatic drop in human infections, outbreaks in poultry, and virus detection from routine surveillance since then has been nothing short of remarkable. While we've seen some breakthroughs of H5N6 - including 5 human infections last year - the last mention of an H7N9 outbreak in poultry I can find comes from the FAO in the summer of 2018 while the last human infection was reported more than a year ago (February 2018). Despite this welcomed respite, we've seen enough cracks in this viral veneer to believe the H7 and H5 threat in China is far from over. Viruses mutate, and over time vaccines against them lose their effectiveness. Add in the reintroduction of viruses from outside of China's vaccination zone, and the inevitable reassortments that occur, and this quiescence was unlikely to persist. Today, China's MOA reports the first outbreak of H7N9 in eight months, involving peacocks at the Jinzhou City Zoo. Of note, the virus tested as HPAI which emerged in late 2016, not the more common LPAI strain. 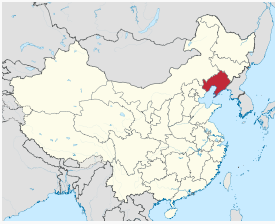 The Information Office of the Ministry of Agriculture and Rural Affairs announced on March 25 that a peacock H7N9 subtype highly pathogenic avian influenza epidemic occurred in Linghe District, Jinzhou City, Liaoning Province. On March 25, the Ministry of Agriculture and Rural Affairs received a report from the China Animal Disease Prevention and Control Center and was diagnosed by the National Avian Influenza Reference Laboratory. The ornamental peacocks raised in the zoo of Jinzhou City, Liaoning Province, developed H7N9 subtype highly pathogenic avian influenza. The park's memory bar watched 394 birds of poultry, with 9 diseases and 9 deaths. After the outbreak, the local authorities in accordance with the relevant plans and technical requirements for prevention and control, do a good job in the treatment of the epidemic situation, have culled 191 birds, all dead and culled birds have been harmless treatment. Despite the breakthrough events with H5N6, a single human H7N4 infection reported a year ago from Jiangsu, some scattered H9N2 infections, and today's H7N9 report, avian flu remains greatly suppressed in China. How long that happy state of affairs lasts, however, is anyone's guess.